If you’re having pregnancy complications, you need specialized care and attention to ensure you and your baby are happy and healthy. At TLC Perinatal, you can meet with a dedicated maternal-fetal medicine specialist who gets to know you and monitors you every step of your journey. You can schedule your exam with any of the board-certified maternal-fetal specialists at the practice’s offices in Silver Spring, Germantown, or Hagerstown, Maryland, by clicking on the online scheduler or by calling your nearest location today. Why do I need to see a maternal-fetal medicine specialist? Your dedicated maternal-fetal medicine specialist has you check in regularly to monitor you and your growing baby, and provides any necessary treatments. What happens during a maternal-fetal medicine appointment? Your examination might also include other types of tests and evaluations that are designed to identify any new risks. If you need any sort of treatment, including management of insulin dosages if you have diabetes, you can get the specialized care you need at TLC Perinatal PA.
How do I prepare for a maternal-fetal medicine exam? Being pregnant can be stressful and overwhelming, especially if you have health issues to worry about. Rest assured though, the top-rated maternal-fetal medicine specialists at TLC Perinatal PA do everything they can to ensure your entire pregnancy and delivery goes as smoothly as possible. 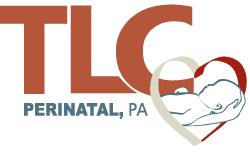 Schedule your maternal-fetal medicine visit at TLC Perinatal PA today. Click on the online scheduler or call your most convenient office.